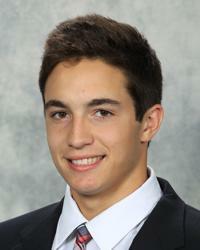 Belpedio skated in all 56 games for the U.S. National Under-17 Team in 2012-13. Photo by Tom Sorensen. After growing up a coach’s kid, Louis Belpedio still remembers some words of advice his dad, also named Louis, used to emphasize. The Skokie, Ill., native, who just wrapped up his first season with USA Hockey's National Team Development Program in Ann Arbor, Mich., fell in love with hockey from the moment he stepped out onto the ice when he was 3. Belpedio lives by words his father told him at an early age. Photo by Dave Reginek. Even on the ice, being a coach’s kid had another side. He started out as a defenseman, moved to forward when he was 7 and then went permanently back to the blue line when he was 11. “I didn’t really have a choice,” he said. “My dad was always an assistant coach on my team when I was growing up. He always coached the defenseman, and he would call me back there and wanted me to stay there. After playing for Culver Academy in 2011-12, the 5-10, 181-pound blueliner got the call to join the NTDP for the 2012-13 season. Belpedio came into Ann Arbor already knowing U.S. National Under-18 Team players Anthony Louis and J.T. Compher. They gave him a little preview of what he should expect when he arrived. 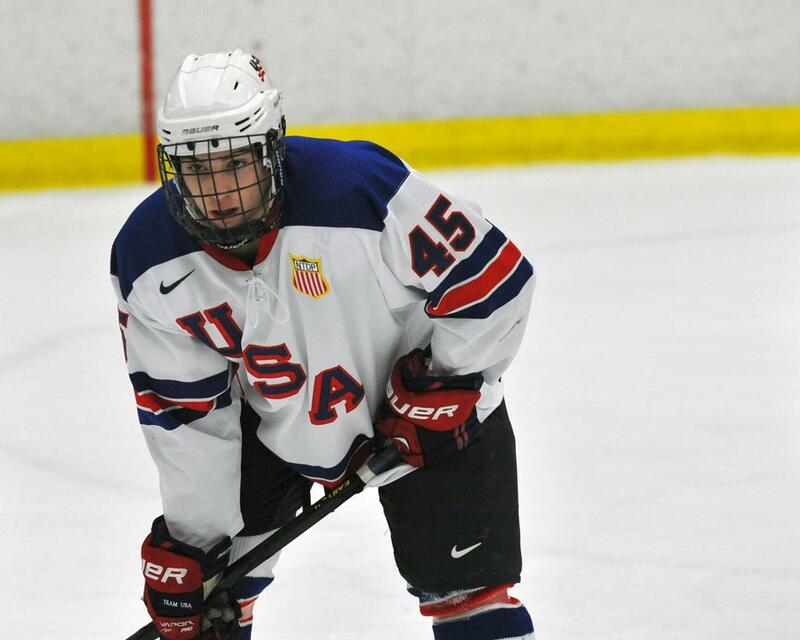 Belpedio, who played in all 56 games for the U.S. National Under-17 squad and finished with one goal and 12 points, said he learned a lot about himself this past year. It also helped that the coaching staff worked with him on a daily basis. He credits watching video with assistant coach John Gruden as a big part of his success. One of Belpedio’s favorite memories came early in the season at the Four Nations Tournament in Switzerland, when Team USA beat Russia 5-4 in a shootout. After training this summer, Belpedio is looking forward to next year’s schedule including games against collegiate competition as well as the USHL and international play.